BB stands for Blemish Balm, or Beblesh Balm in Korean. This cream is said to have originated in Germany as an ointment dermatologists would prescribe to patients who have undergone laser skin surgery for its soothing and skin-regenerating properties. Perbedaan BB Cream dengan Foundation adalah BB Cream mempunyai healing-properties yg dapat memperbaiki kondisi kulit. Seperti memudarkan flek hitam, anti-aging / anti-wrinkle, UV protect, whitening, some to even out skin tone and lighten blemish scars. BB Cream dapat digunakan sebagai moisturizer, sunscreen, make-up base and foundation. Sebenernya ada jg BB Compact atau BB Cream dalam bentuk bedak padat. Tapi lebih suka BB Cream biasa sih supaya lebih moist aja..
A multi-function BB cream that protects skin from UV rays and moisturizes skin with aloe extract, while achieving a clear, radiant skin tone. Use : Apply using fingers, in order, to cheeks, nose, jaw, and then forehead. Spread thinly by patting with fingers. Dipakai dari pagi sampai malam sih kelihatan natural, nothing special menurutku. Ngga bisa nutup flek2 hitam di pipi, apalagi ngilangin.. hehe Siangnya cuma blotting aja pake tissue biasa..
Use : Apply using fingers, in order, to cheeks, nose, jaw, and then forehead. Spread thinly by patting with fingers. Teksturnya masih lebih kental Aloe, Mushroom lebih mudah diblend. Coveragenya sheer. Oil control masih lebih bagus Aloe, Mushroom lebih moist. 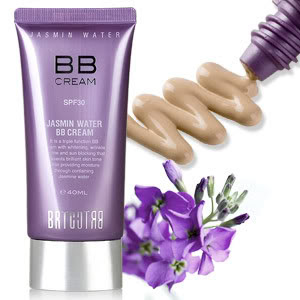 Kl lagi pas keringetan trus dilap pake tissue luntur juga nih..
Jasmine Water BB Cream is a triple function cover cream with whitening, wrinkle repair and sunblock functions. 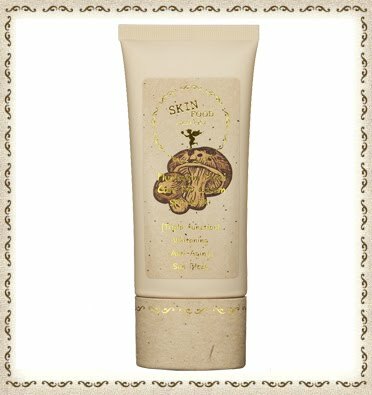 It provide good moisture, promotes skin elasticity and acts as an excellent coverage for skin imperfections for a radiant, fairer and natural complexion. Walaupun shadenya cuma satu tapi bisa menyatu dengan warna kulit. Hasilnya dewy, moist & fresh. Ditambah lagi SPF 30. Tapi harganya lumayan mahal yah..
Missha PC ini oxidize di aku. Kelihatan kusam setelah beberapa jam. Shade No.23 jg terlalu gelap, walaupun umumnya BB Cream bisa mengikuti warna kulit..
Dodo club's BB Cream (Blemish Balm Cream) is a 4 in 1 cream that's well known in the world. It has four functions (which is the completest among others BB Cream) that will make your makeup activities alot more easier. 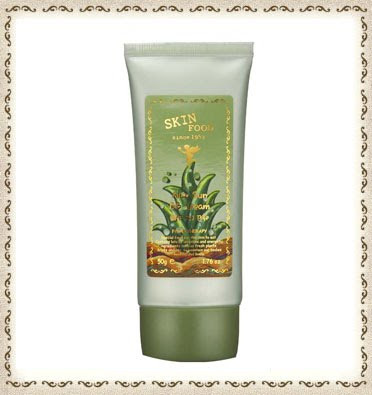 The first function is as essential cream, which supplies nutritions for your skin and helps cure and sooth troubled skins such as acne problem and skin'n irritations. Second is as sun care, with SPF-15, it prevents your skin from UV light that can cause black spots. And the last function is as foundation to your makeup to help your makeup stay perfect and oil free for all day long. Suitable for all skin types and for most of skin tones and shades. Dodo Club's BB Cream also didn't oxidize on your face, and not causing clooged pores. Safe for daily use. Aslm. Mba, mau nanya donk.. Dodo sm TSF enakan mana? ?Klo Dodo bisa bikin kulit kenyal jg ga?? Udah nyoba Skin Food BB cream yang Peach Pore Sake? Itu kan buat kulit berminyak ya, tapi anehnya kalo aku pake itu, kok mukaku tambah berminyak ya?